Energy storage will be used to help smooth rail operations. Russia's trains will soon get battery assistance. Italian energy giant Enel plans to install 10-megawatt-hour batteries on Russian railways to help trains move more quickly and smoothly along the rail network. The move to create what is termed a “first-of-its-kind innovative storage system” will allow the Russian rail network to accommodate bigger and faster trains without spending money on grid upgrades, Enel said. Enel’s CEO and general manager, Francesco Starace, inked a deal on the project with Belozerov Oleg Valentinovich, general director of Russian Railways, at the St. Petersburg International Economic Forum last month. The project will be delivered through Enel’s advanced services division, Enel X, and RusEnergoSbyt, a rail network electricity supplier which is jointly owned by Enel and ESN Group, an energy trading company belonging to Russian Railways director Grigory Berezkin. Enel similarly refused to provide further information on the record. However, GTM understands the project will use lithium-ion batteries and will kick off with a three-month test at RZhD’s labs from the end of this year. The test will involve testing a single battery in a controlled environment. Once live, the system will use Enel X software to monitor energy demand across certain sections of the rail network, 27,000 miles of which are electrified in Russia. The system will switch to batteries if the power draw from the trains exceeds the capacity of the electricity supply, helping to keep services running even during peak periods and with higher rail service frequency. Enel has confirmed the batteries will be fitted near the tracks rather than on the trains. One of the aims of the project will be to capture and store regenerative braking power. And although the control software has been developed within Enel X, it is not clear whether it is based on systems that Enel has acquired in recent years. In the last couple of years, Enel has snapped up several purveyors of energy control software, including Demand Energy, EnerNOC and eMotorWerks. Enel has not revealed whether the software for Russian Railways will come from one or a combination of these acquisitions, or from a different source completely. So far, energy storage-powered rail projects have tended to focus on the use of hydrogen fuel cells on trains. The government in Ontario, Canada, for example, has long been studying the feasibility of using hydrogen fuel cells to power electric trains on its GO Transit regional rail network. And earlier this year Siemens and Ballard Power Systems were reported to be developing a fuel-cell drive for Siemens’ Mireo train. Alstom has a fuel-cell train, the Coradia iLint, which could be operational on U.K. tracks by 2021. Elsewhere, ultracapacitors have been used in braking-energy recuperation systems, and the German energy storage manufacturer Stornetic has commercialized flywheels aimed at train operators. Lithium-ion battery technology, though, has so far had little exposure in the rail industry, except for a Chinese attempt to build a rail-free electric autonomous rapid transit system in Zhuzhou, Hunan Province. Enel’s use of lithium-ion in Russia will come too late to alleviate power consumption as Russian Railways doubles train services for crowds at the 2018 FIFA World Cup, which kicked off this month in the country. 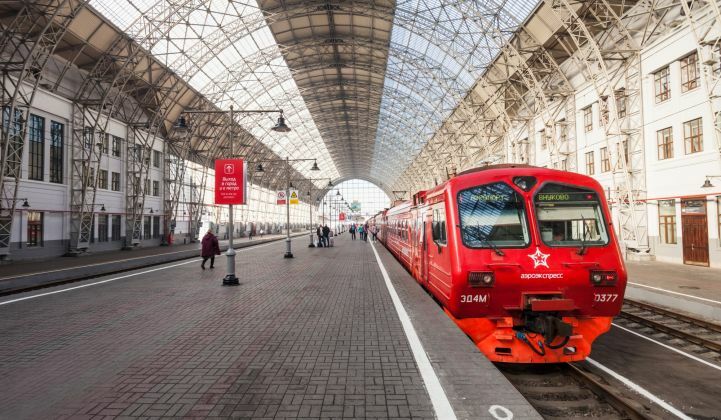 But with Russian Railways passenger figures increasing by almost 4 percent year-over-year, the innovation will be welcome when it finally arrives.